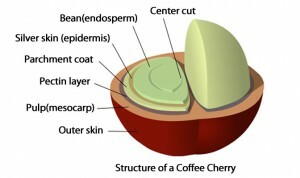 There are two different methods which can be used to process the coffee cherries: the dry mill and the wet mill. The water use at the wet mills is diverse in both quantity and purpose. 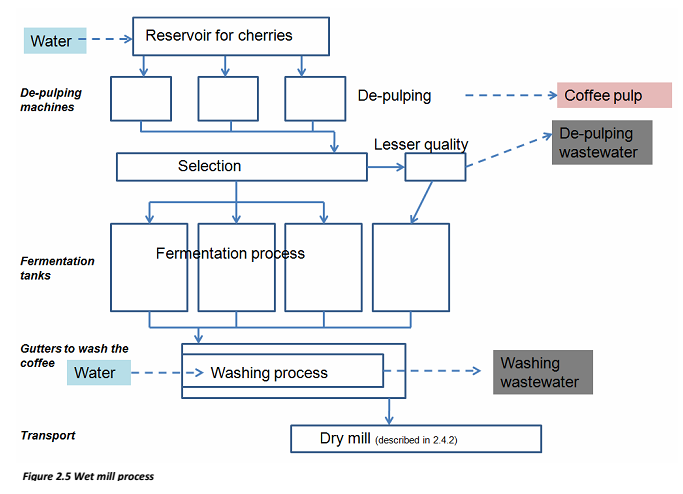 30% of the water is utilized for the de‐pulping process and 70% for the washing of the fermented grains. From this 70%, 20% is used for eliminating the decomposed mucilage and the remaining 50% is very clean wastewater that is used to finish cleaning and selecting the grains. Coffee wastewater contains large concentrations of sugars, cellulose, caffeine and pectic substances. The effluent from the unit was being treated in the Effluent Treatment Plant (ETP) and the discharge was being gardening towards water conservation, As corporate policy there was a requirement to reduce effluent loads through wastewater recovery for recycle/reuse.